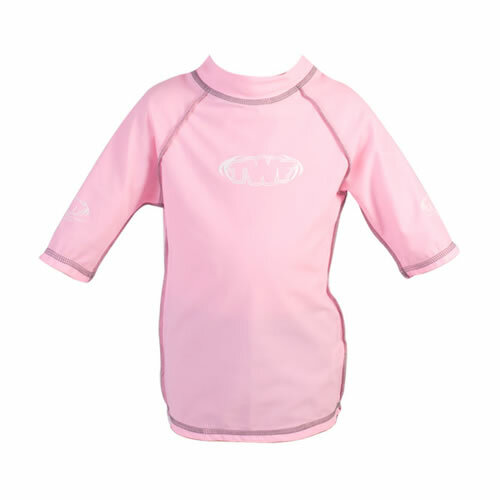 These children's short sleeve rash vests from TWF feature raglan sleeves and a high collar. 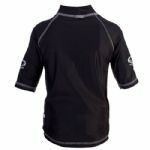 They are made from high stretch lycra, perfect for use under any wetsuit. TWF kids rash vests can also be worn in the sea or swimming pool with the added benefit of sun protection. Rash vests are a skin tight garment. If you require a looser fit, please buy one size bigger. Raglan sleeves and a high collar. Perfect for use under any wetsuit. 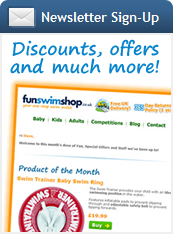 Can be worn in the sea or swimming pool.